Need some extra storage place in your Wrangler? 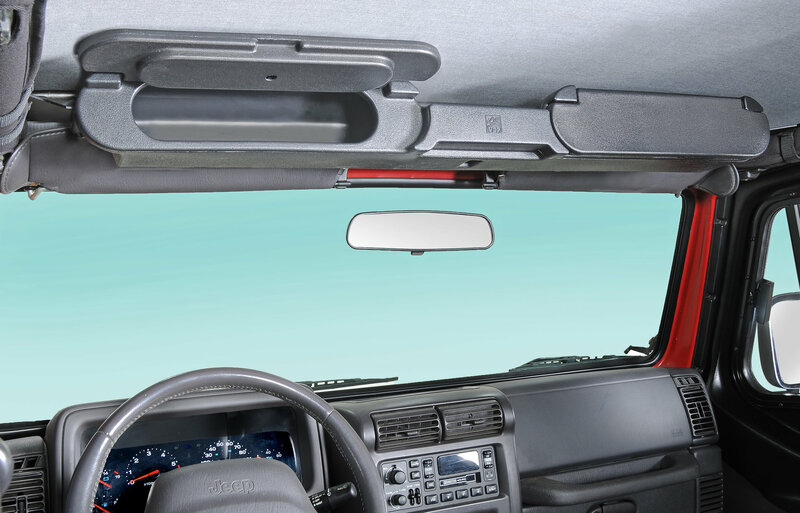 Want a convenient and clever spot to safely keep your sunglasses, maps, gloves and other clutter that's jamming your glove box and center console? The Quadratec Exclusive Overhead Storage Console from VDP instantly turns the area between your sport bars into usable storage space without any interference or modifications to your vehicle. 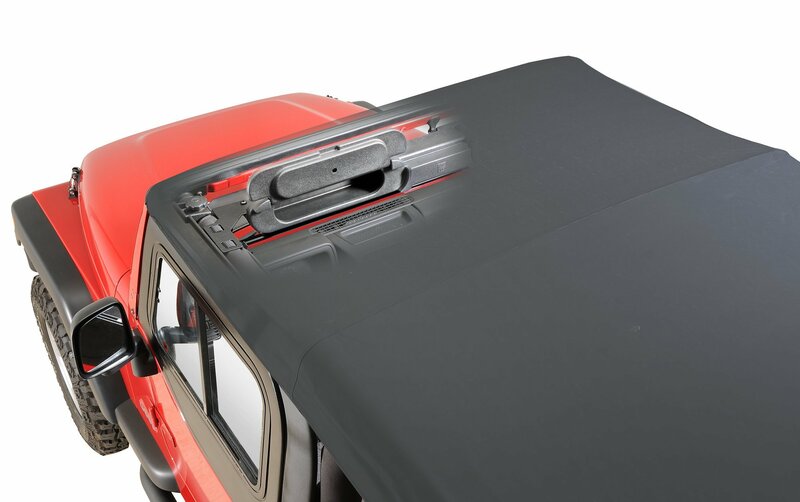 Fits all 1987 and newer Wranglers and works with soft tops, hardtops, top up, or top down. The Overhead Storage Console has two large storage compartments with trap doors that snap shut keeping your valuables safe and sound. Our trap doors flip up and will stay open by themselves when retrieving contents. 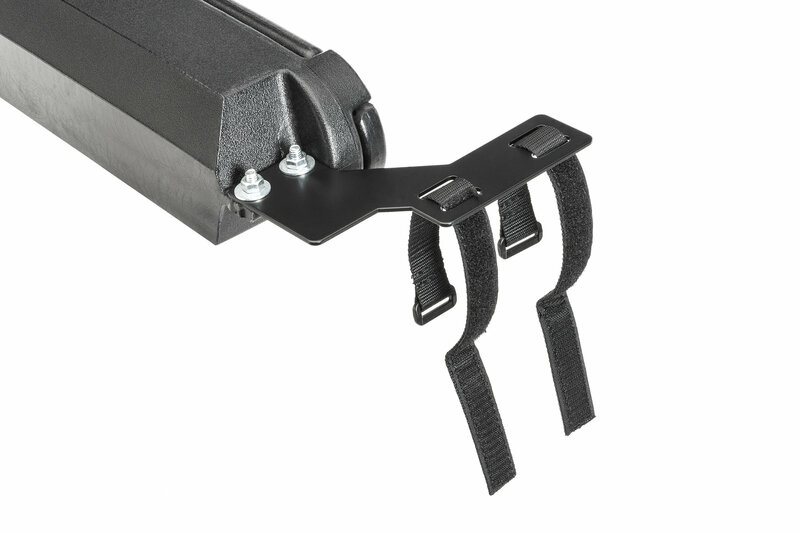 Installs quickly and easily to your vehicle with nylon straps and no tools. Some minor pre-assembly required. Constructed from thick and durable roto-molded TPO plastic that's both lightweight and durable. 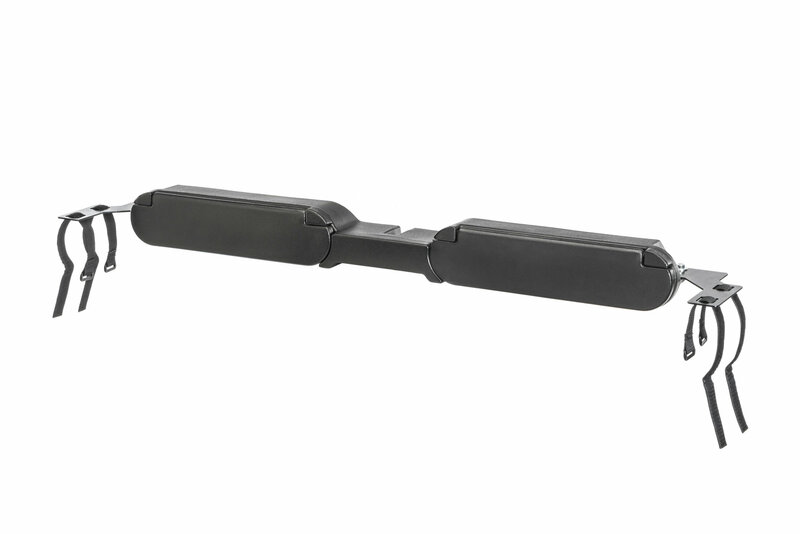 Includes steel brackets, hardware and installation instructions. Each compartment opening measures 12" wide x 3" high and is 2.75" deep. Over 325 cubic inches of storage capacity! I had this on for a while, but now took it off…. 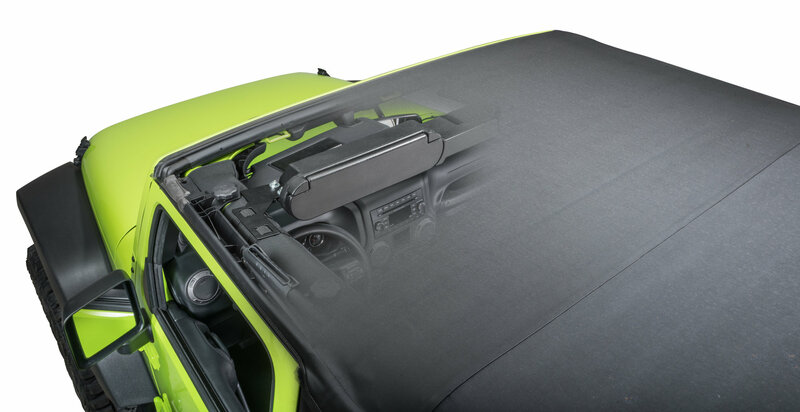 it changes the airflow horribly and I wanted to be able to pull back my sunroof easily. This was the perfect way to add much needed extra storage to my TJ. The space in the middle fits my radio with the hard top on. It might fit some smaller CB radios as well. The only downside with this, no locking. But nothing falls out or gets banged around too bad when driving the jeep. Does this work with a 2011 jk with the freedom top? 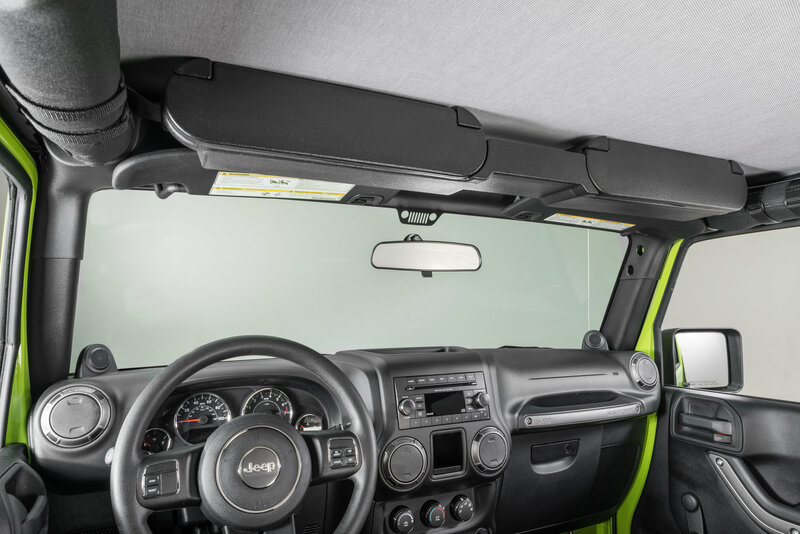 Yes, however for JK hardtop applications, it is necessary to temporarily remove the Freedom Panels to install the Overhead Console.